Sag Harbor is an incorporated village in Suffolk County, New York, United States, in thetowns of East Hampton and Southampton. The population was 2,169 at the 2010 census. The entire business district of the whaling port and writer's colony[which?] is listed as Sag Harbor Village District on the National Register of Historic Places. Sag Harbor is about three fifths in Southampton and two fifths in East Hampton. The dividing line is Division Street which becomes Town Line Road just south of the village. 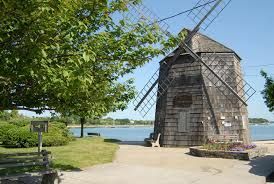 Most of the defining landmarks of the village — including its Main Street, the Whalers Church, Jermain Library, Whaling Museum, the Old Burying Ground, Oakland Cemetery, Mashashimuet Park, and Otter Pond are in Southampton. 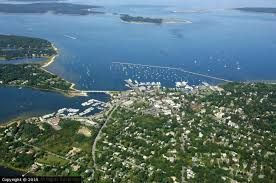 However, almost all the Bay Street marina complex, including Sag Harbor Yacht Club and Breakwater Yacht Club, at the foot of Main Street, is in East Hampton, as are the village's high school, the Sag Harbor State Golf Course, and the freed slave community of Eastville.